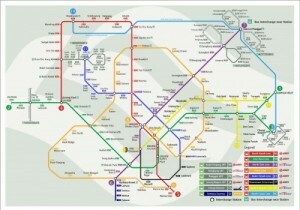 I chance upon this link and I am not sure if this future SMRT map is for real or not. 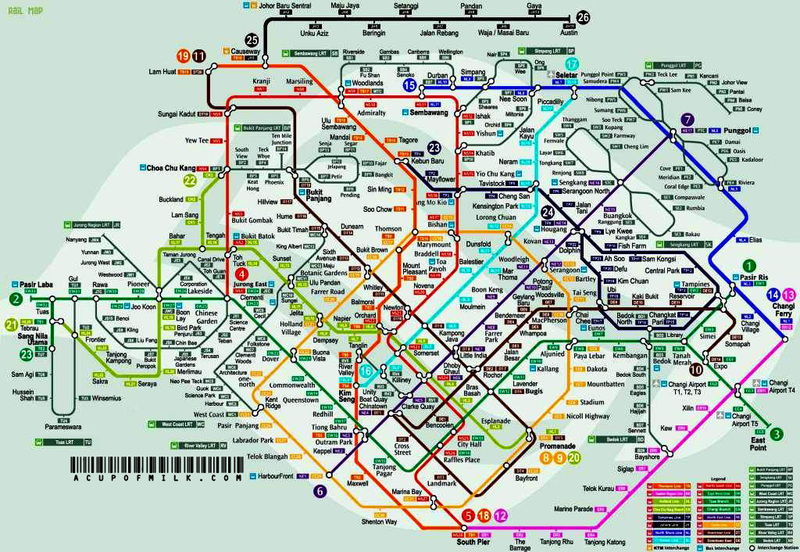 I almost fainted on seeing it, on first glance it looks even a lot more complicated than the metro maps of major cities such as Paris, London and Hong Kong. Assume it is true, many more Singaporeans will be displaced as more diggings and redevelopment will take place in our lifetimes and probably into our children’s lifetimes, provided Singapore or the world has not come to the end then due to the over exploitation of mother Earth by mankind. A more believable version can be found in LTA’s official website. 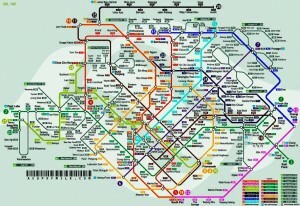 There are plans to add an addition of 4 other lines which includes the Bukit Timah, Downtown extension, Eastern region and North coast line. Notice the MRT extension to Johor Bahru in Malaysia that was in the news lately was in the top map but missing from the official future map. Fishy? you bet. ‹ Justice Served? May be Not.